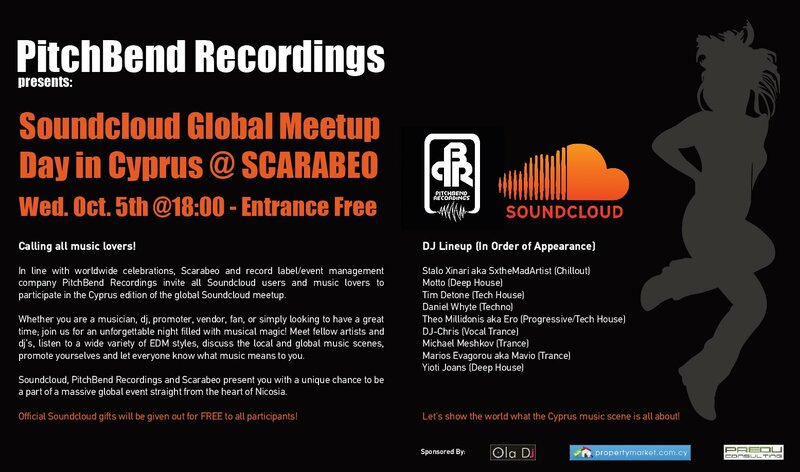 In line with worldwide celebrations, Scarabeo and local record label PitchBend Recordings invite all Soundcloud users and all music listeners and lovers to come and participate in the Cyprus edition of the global Soundcloud meetups! Join us for a great time and meet fellow artists, listen to a wide variety of local musicians and producers, discuss the local music scene, and let everyone know what Soundcloud and music mean to you! Official Soundcloud gifts will be given out for free to all participants! Let's show the world what the Cyprus music scene is all about!